Although this is a black and white tutorial, learning how to draw a flamingo is always a fun and colorful experience! 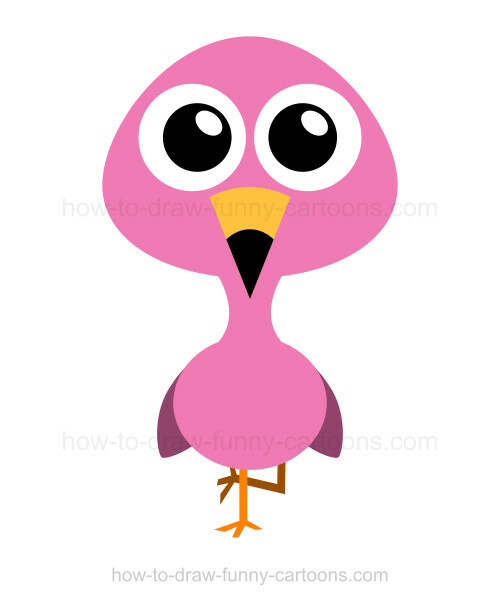 This cute bird is easily recognizable for its colorful appearance and its ability to sleep on a single foot. 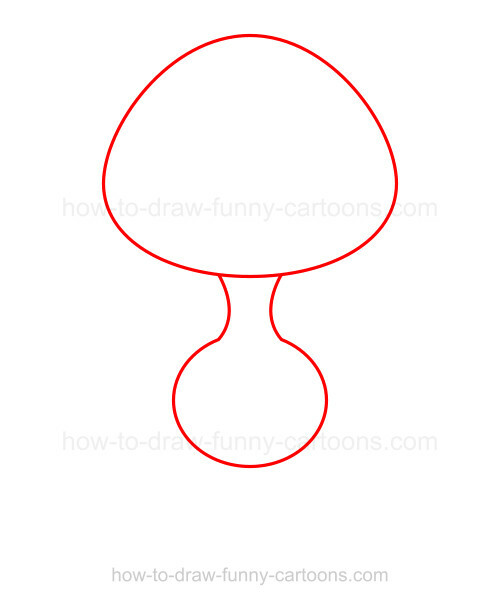 First, sketch a large circular shape to illustrate the head. Don't hesitate to exaggerate the size of the head. After all, we are creating a cartoon character! Next, draw the neck using small curved lines. The body can be made from a small circle. Continue working on this flamingo by adding two circles to form the eyes. 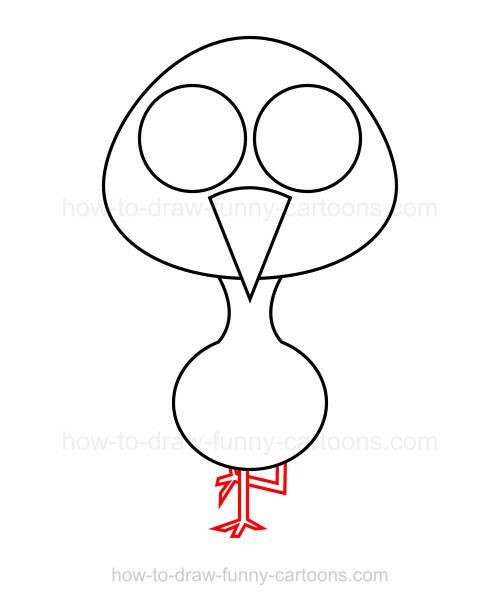 The beak can be made from a long triangle. This triangle must be placed near the eyes. Cool! Now illustrate the feet and legs using small rectangles and straight lines. Remember that the left leg must be placed in the air like shown in the illustration below. Great! You can draw a small triangle on top of the original one. 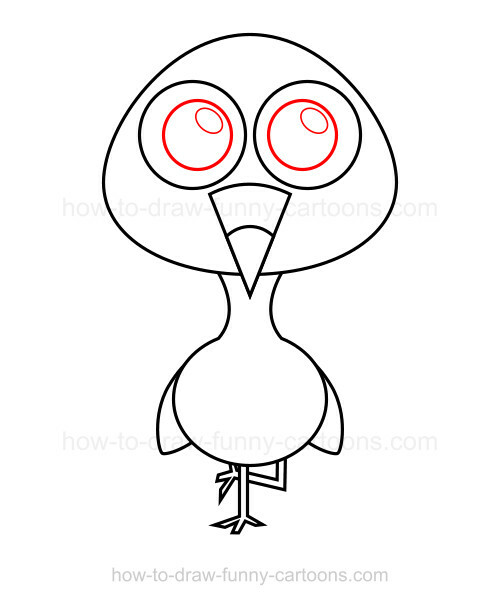 As you can see on the colored version, the beak must be colored in orange and the end must be filled in black. 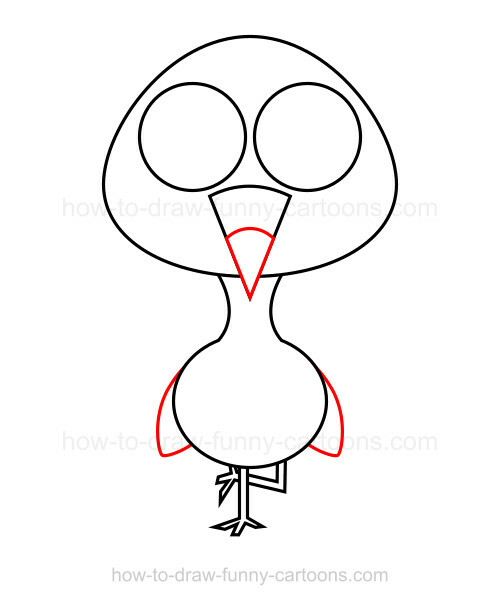 You can also draw both wings using small oval shapes. One last step and we are done! Draw the pupils using circles. These circles must be smaller than the eyes and placed closer to each other (compared to the eyes). 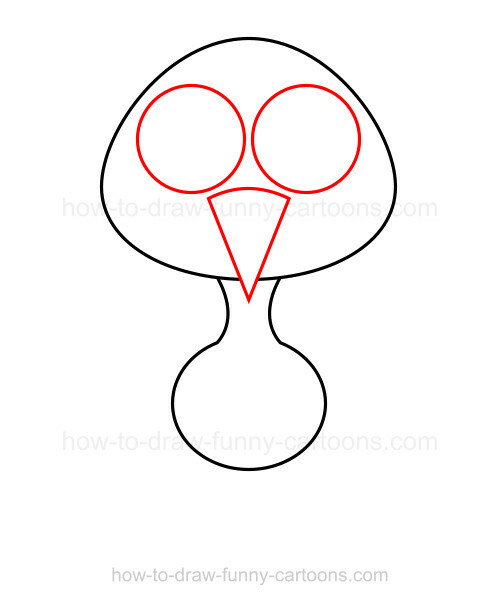 Finally, draw two small oval shapes inside the pupils to complete this step. Nice work! This is the final illustration made from black and white shapes. Creating a front version is more challenging (especially if you don't use colors), so it's important that all details like the beak and the legs be 100% accurate. You can also try a side version to see all the differences between both postures. This is a fun animal to draw and below you can see all steps that must be drawn to create this adorable animal! Enjoy!